If you're not sure what "merchandising" is all about, please join me for a webinar I'm presenting on Thursday, October 4. Merchandising is a tactic borrowed from retail shops. 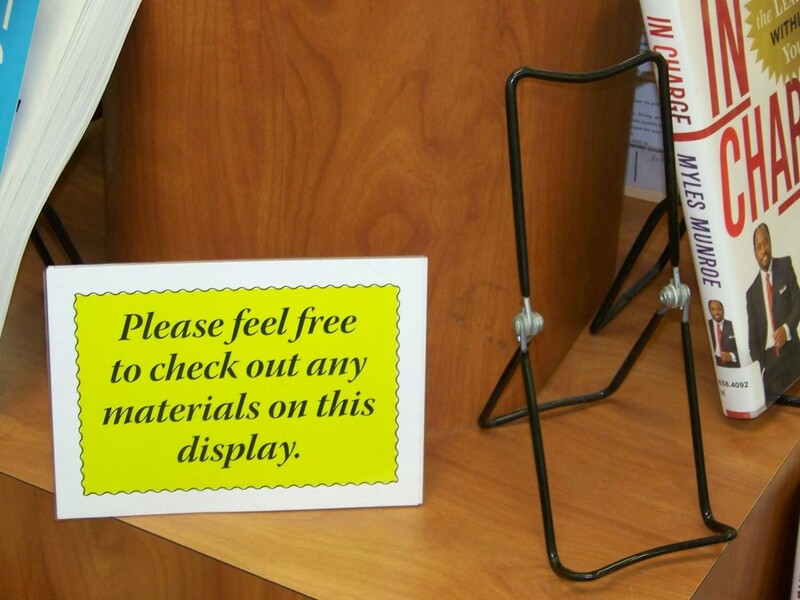 It's more than just making displays -- it's purposeful and strategic. 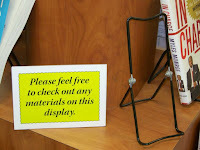 During this hour-long event, you'll learn the difference between tired old displays and effective merchandising. 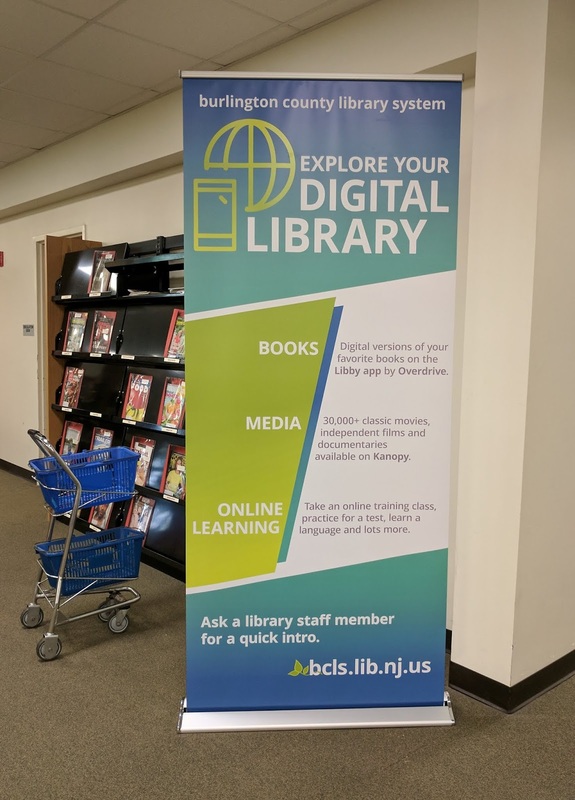 You'll see lots of colorful photos from libraries around the world, and will get a useful handout that lists important guidelines and shares links to further information. This activity can help the inside and outside of your library look more inviting. It can help differentiate various sections of your building. And it can increase circulation and usage at all types of libraries! It's also creative and fun to do. Sign up here, at LibraryWorks. The live webinar will be at 2pm Eastern US time on October 4. If you cannot attend live, still register, and you'll be sent a recording of the event. Anyone around the world is welcome to attend. The individual fee is $49, and there are group rates as well. This webinar is fun as well as educational, and it's one of my favorites to present. I hope you'll join me next week!